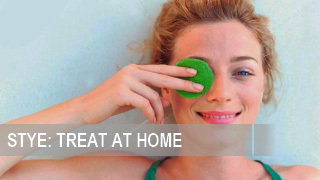 Home » How to get rid of eye stye? No one is immune to stye. However, not everyone knows how to get rid of it, and not to harm health at the same time. Stye is an acute inflammatory process that occurs in the sebaceous glands, hair follicles lashes or meibomian gland lobule. Good immunity helps the body to overcome the disease quickly. However, for those whose immune system is low, they may have a lot of inflammation. 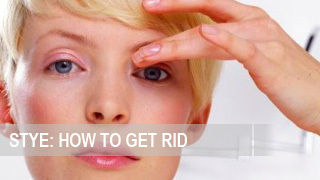 That is why it is very important to know how to get rid of stye without any harm to health. Stye is an inflammation disease caused by Staphylococcus aureus bacteria. Therefore, it should be treated with antibacterial agents, such as sulfacetamide instilled in the eye, or a 1% penicillin or erythromycin solutions. If you are allergic to certain antibiotic (Doxycycline), it may be replaced with drugs from another group. Nowadays, there are modern drugs such as Cyprolet, Ibuprofen or Tobrex, that can be used even by young children. Before going to bed, it is advisable to put some ophthalmic erythromycin or tetracycline ointment in the inner part of the eyelid. Also, in order treat stye, UHF therapy, if the temperature of body is normal, is used. Many people believe that in order to cure stye you can use the traditional method such as spitting in the sick eye. However, doing this is strictly prohibited. Saliva contains a large number of bacteria that, when it gets into the human eye, it can become a cause of new infection. It is also forbidden to dissect the stye, which is filled with purulent contents. It will lead to the spread of infection in the deeper layers of the tissue. A decoction of chamomile, which has an antibacterial effect. For doing this, use a cotton swab soaked in concentrated chamomile decoction, and put it to the sore area. Aloe lotion. For doing this, squeeze the freshly cut aloe leaf to get some aloe juice, pour with 100ml room temperature boiled water, and leave for overnight to infuse. In the morning, use cotton pads, soaked in the infusion, to put to the sore area. Calendula flowers compress. For this purpose, 1 tablespoon of calendula flowers is poured with 200ml boiled water, and then is left for 1 hour, and eventually filtered. The decoction is used as a compress. 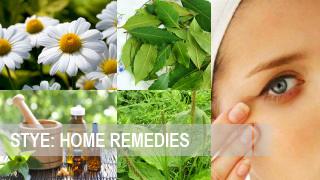 For further information on how to get rid of stye using home remedies methods, click here. 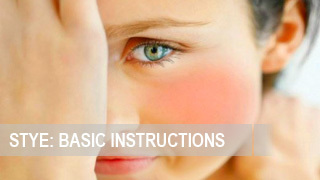 DID YOU KNOW HOW TO GET RID OF STYE QUICKLY? 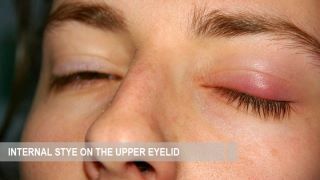 In order to stop the inflammation development at the early stage, stye can be cauterized using a 70% alcohol solution. It should be done extremely carefully. Make sure that the solution did not get to the mucous membrane of an eye. 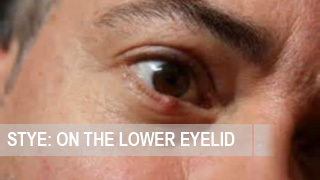 At the time stye is cauterized, an eye must be closed. In order to put out infection, put an cotton swab, soaked in alcohol solution, to the sick area for at least 20 minutes. Sometimes it happens that stye capsule does not have to be dissected, and the disease takes its normal course for just a few days. In order to avoid stye in the future, it is recommended to start taking vitamin complexes, which have a stimulating effect on the immune system, before the disease is defined. Remember: the earlier the treatment of the disease starts, the faster the recovery will come. 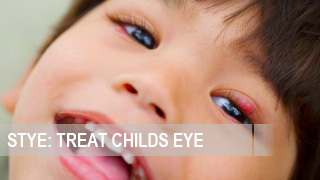 Stye is not a dangerous disease! However, it can cause a lot of discomfort, as well as ruin the look of a person. 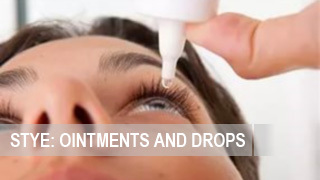 Therefore, those who face the problem for the first time ever, are looking for effective ways to get rid of eye stye as fast as possible. 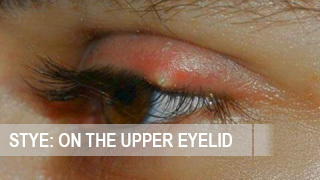 The information presented in this article will help to find the right answers to various stye-related questions.